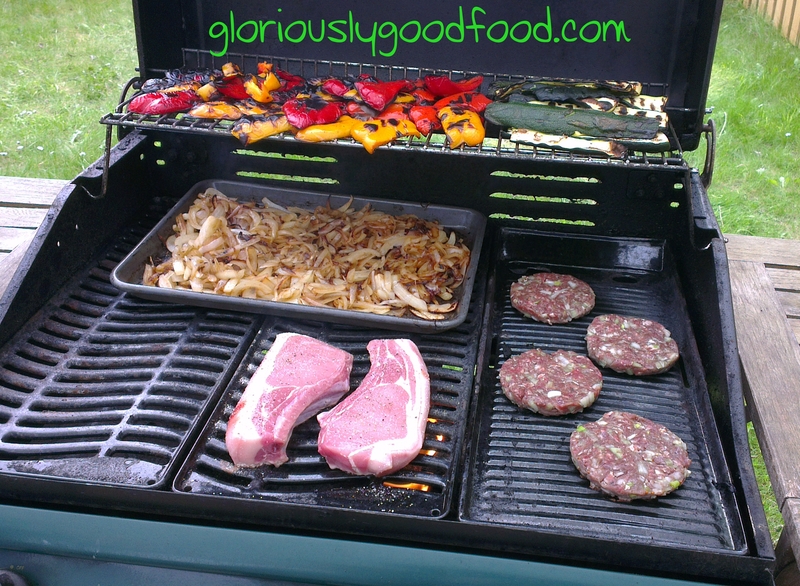 I was sent an amazing array of foodie goodies (see my review of the Steak Pie here) by Damn Delicious not so long ago, so I was absolutely delighted to have the bank holiday weekend and gloriously good weather to sample the above products as part of a family BBQ! I made this into really simple burgers – see recipe here. The Aberdeen Angus Steak mince was like no other minced beef I’ve had before. It was almost ‘gamey’ in its depth of flavour. The burgers came out beautifully moist and tasty. The Steak Mince was an absolute delight and treat. I think that, at £4.19 for 400g, this represents good value, though perhaps not something I would indulge in every day. These were amazing! I don’t generally buy pork chops because I am not a huge fan of the relatively dry meat, but these already looked amazing before we started cooking them. Ok, I know it’s wrong, but one of my daughters and I are HUGE fans of the fatty parts of the meat. The fat on these on-the-bone Loin Pork Chops were unlike anything I’d ever eaten before! The fat crisped up perfectly and had an almost sweet, caramelised flavour to it that I’d never experienced in any pork chop before. My taste-buds were in rapture! The whole family loved these! Although they may feel a bit indulgent and expensive at £5.52 for 2 chops, these were HUGE. They were really thick and, being on the bone, absolutely jam-packed with flavour. I still find the meat on a pork chop a bit dry (which is why I tend to eat shoulder steaks, generally), but these were the least dry I’d ever tasted. The bone & thick, juicy, crispy, sweet-tasting layer of fat more than made up for that. I would definitely have these again! We’re big steak fans in our family, so sampling these for review was an absolute treat!! We cooked the steaks on the BBQ, leaving them ‘blue’, the way we like our steaks. What can I say…they were juicy and exquisitely tender – the knife went through them like a hot knife through butter. The depth and richness of the flavour was heavenly. There was plenty of fat for those of us that love it (and it was easy enough to remove for those of us that don’t). These retail at £11.25 for two steaks, so definitely not an everyday meal, but then if you’re going to have a steak, you might as well indulge and treat yourself to the great quality & taste! All products came by courier in an insulated box containing ice blocks. The meat was still very much chilled when it arrived and the packaging included clear instructions to say it could be frozen on the day of receipt. The packaging was clear & simple – all products above were vacuum-sealed with simple labelling. Perfect to wet the appetite, take up minimal space in your freezer and so it’s obvious what’s inside. The flavour absolutely shone through in all the above products. They were succulent and tasty. I was impressed! 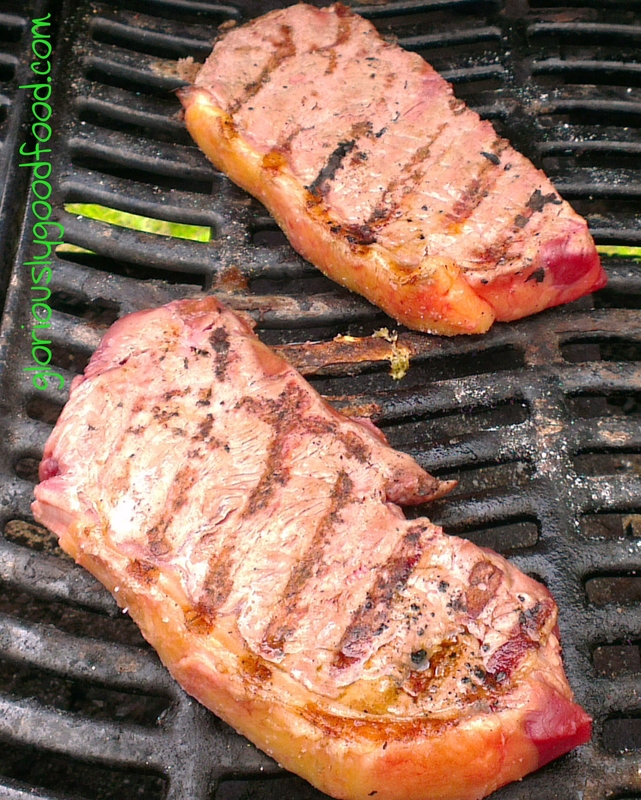 This entry was posted in Reviews and tagged Aberdeen Angus, aberdeen angus steak, beef, Damn Delicious, free range pork, pork loin chops, sirloin steak, steak mince. Bookmark the permalink.